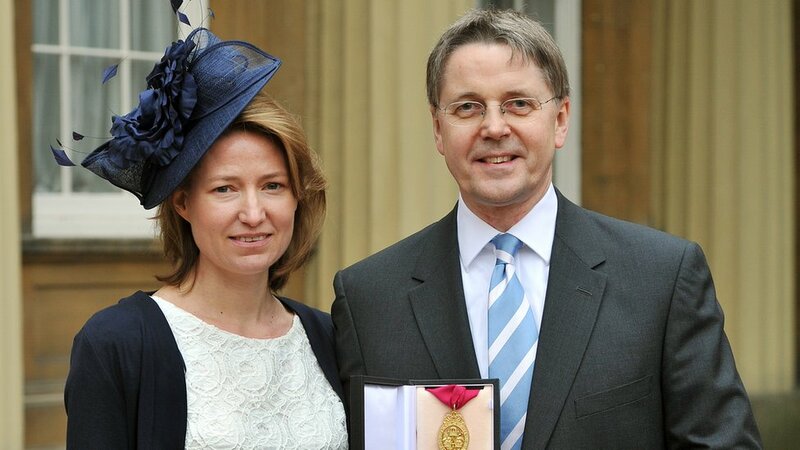 Former head of the civil service, Sir Jeremy Heywood, has died of cancer at the age of 56, days after retiring through ill health. Here, his wife Suzanne pays tribute to his work, his love for his family and devotion to Manchester United. It is with huge sadness and enormous loss that I share the news of the death of my husband, Jeremy John Heywood, who passed away peacefully early this morning, Sunday 4 November. Jeremy crammed a huge amount into his 56 years. He loved his work as a civil servant and was hugely proud of his colleagues while always believing that they – and he – could and should do more, that there had to be a better way, a new way of looking at things or a fresh approach which would bring differing sides together. Those who worked with him found it a challenging, inspiring and rewarding experience. He saw it as a huge privilege to work so closely with four Prime Ministers and two Chancellors and was unwavering in his efforts to help each of them reach their goals. He was always conscious of the need for civil servants to see the world through ministers’ eyes while at the same time respecting the boundaries between politicians and civil servants. Away from his work, he inspired admiration, respect and affection in his many and diverse group of friends and returned it to them. Jeremy could light up any room or conversation and loved hosting a good party. He supported Manchester United through all their ups and increasingly frequent downs, kept enough space in his brain for limitless sporting trivia and adored his music, which spanned many genres. He was a wonderful father, treasuring both time at home and travelling with our children, sharing with them his love of discovering new places, which he gained during his two years in Washington. He gave them a mix of challenge, a little teasing, total devotion and deserved praise. And he was a devoted son and a beloved and loving brother and uncle, always finding time to help, encourage and inspire. For me, he was my wonderful partner for 22 years. We shared everything and I will miss him more than I can say. I would like to thank everyone who supported us through these difficult months, making what could have been unbearable often uplifting and joyous. Jeremy was hugely touched by the response he received to the news of his retirement and we owe a debt in particular to the medical staff who looked after him so well throughout his illness and to his private office for their constant support. There will be a small private funeral in the coming weeks and a memorial service open to all at a later date. How the Chargers and Seahawks match up in Week 9China's leader and a retired U.S. general have been talking about 'war.' But don't panic.